LARSON Doors Dog Days of Summer Contest! It's officially the hottest part of the summer - and we're celebrating the panting, tailwagging, sunglass-wearing, boat-riding, poolside-sitting, hammock-enjoying dog days of summer! We want to see how you and your four-legged friend are dealing with the heat! Life Changes. Your Storm Door Can Too. 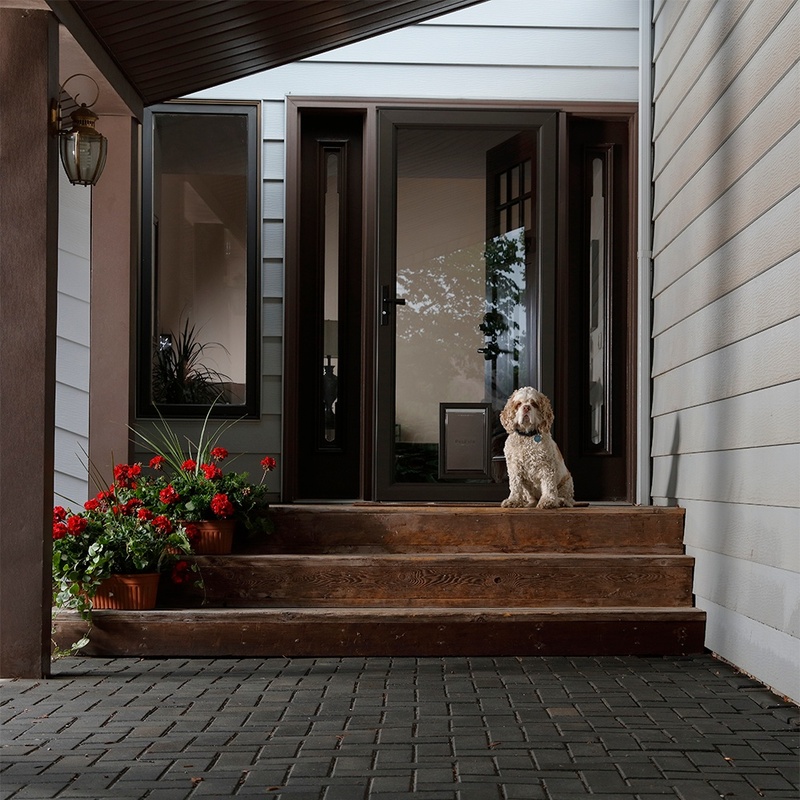 Have you added a four-legged family member to your pack after installing your existing LARSON storm door? Maybe you recently moved to a new home with an existing LARSON storm door that lets in light, but not the dog. 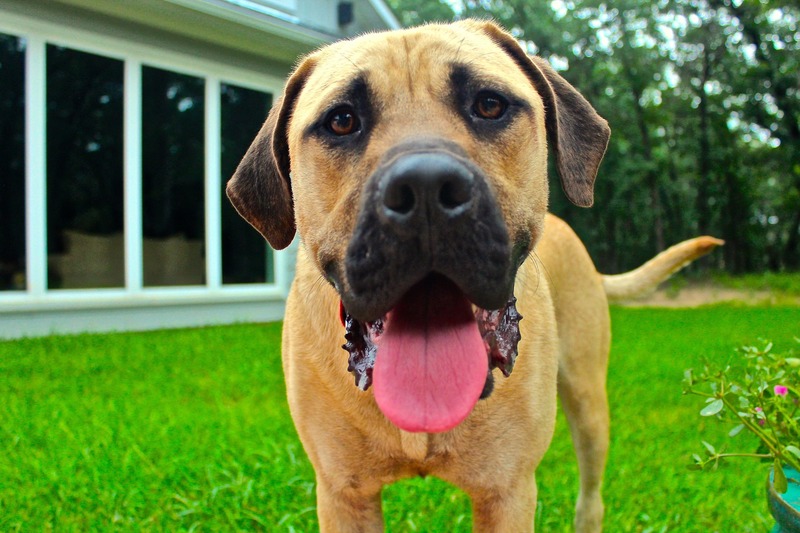 Did you know, you may be able to upgrade your storm door to accommodate your pets? Our glass inserts are easy to order and to install. Plus, they give your dog or cat the freedom to come and go throughout the day. Have you ever wondered how to install a pet door storm door? 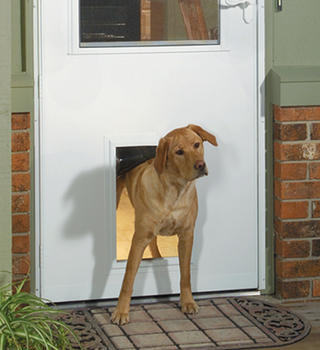 Instead of cutting into your home's walls, consider a pet door storm door instead. Both beautiful and functional, pets and their owners appreciate the independence this door affords them. Ask This Old House general contractor Tom Silva helps a homeowner install a storm door with her active dog in mind. Your four-legged family member will love a LARSON storm door. 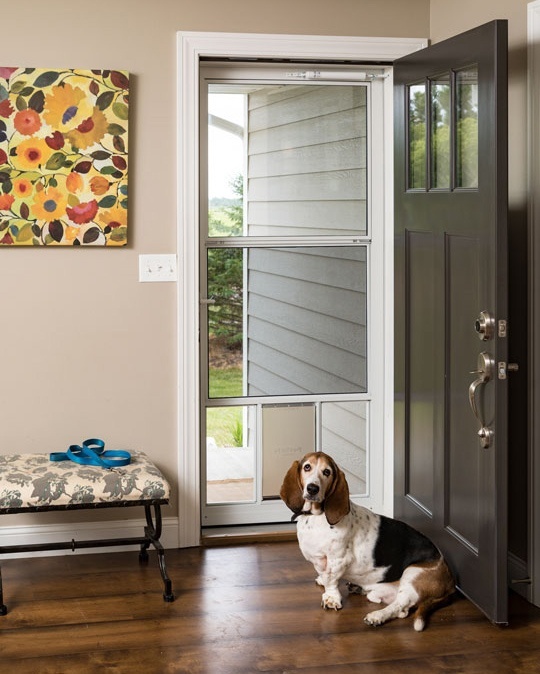 We have several storm door options to keep your furry family member content in your home, but make sure you follow our suggestions to ensure you and your pet are happy AND pick the door that's right for you. Who Let the Dogs Out? Popular Storm Doors for Dogs. Your four-legged fur baby enjoys basking in the sunlight. He may also be so smart that he likes to let himself out during the day. We have several storm door options to keep your furry family member content in your home. Check out our great pet-friendly storm door options below!